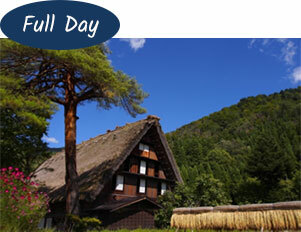 Visit the historic World Heritage listed villages of Gokayama and Shirakawago, famous for their farmhouses constructed in the traditional “Gassho-zukuri” style. This style is characterised by a steeply slanting, thatched roof resembling two hands joined in prayer. The remaining farmhouses have been well preserved along with a unique way of life untouched for centuries. Its serene picturesque scenery will linger in your mind. 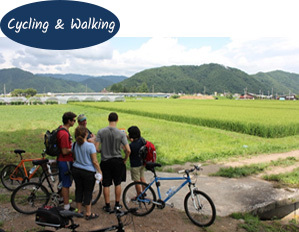 Discover the natural beauty of Takayama and Furukawa with a guided tour. Access some of the most remote and charming areas in Japan and discover the Satoyama village lifestyle. 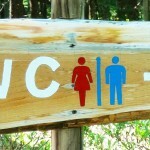 Satoyama is a habitat where nature and humans closely coexist, where humans have become part of the ecosystem. It provides a glimpse of village life in Japan’s old days. The unique local culture is enriched with a balance of sustainability of land and human needs. See the idyllic landscapes and traditions of another era and experience the kindness and generosity of the locals. 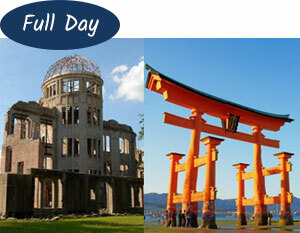 Discover the World Heritage sites in Hiroshima and Miyajima Island all in one day. You will be captivated by the floating vermillion tori gate and Itsukushima Shrine on the sea. In Hiroshima city, witness and learn of the tragic results of war and the heart-rending stories and displays at the Hiroshima Peace Memorial Park and Museum. 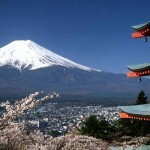 Are you tempted to climb the icon of Japan, Mt. Fuji? Mt. 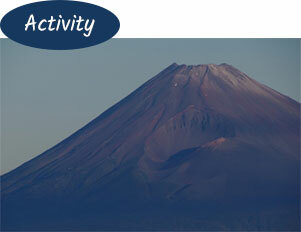 Fuji is open for climbing only in the summer from 1st of July to 14th of September. After all your hard work, you can see a spectacular sunrise from the top of the peak. 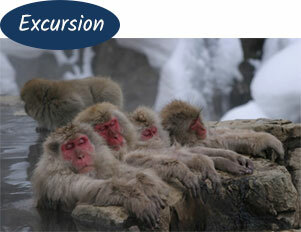 Can you believe that wild monkeys take the Onsen (hot spring) bath? Monkeys are adorable and watching them bathe in the onsen will make anyone smile. Why don’t you take a rest from skiing/snowboarding and meet them.